Much of the public feel alienated from parliament. By making it more accessible, we can demystify parliament and, in the process, bring more people into politics and use their skills, expertise and collective knowledge. 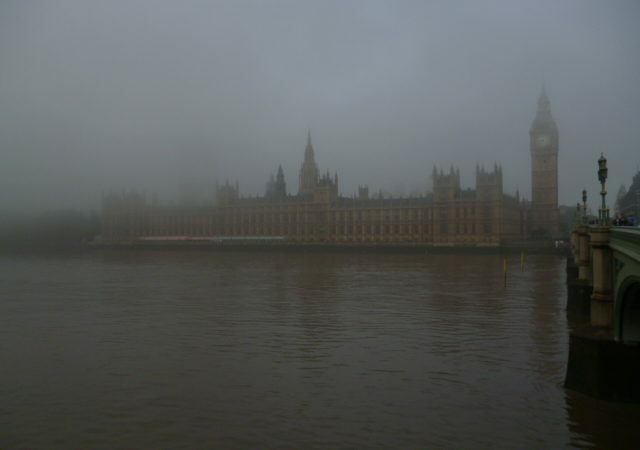 For many, parliament is an iconic, yet impenetrable institution. An institution far removed from peoples’ everyday lives with archaic conventions, complex processes and jargon-laden language. It’s no wonder then that much of the public feel alienated from parliament. By making it more accessible, we can demystify parliament and, in the process, bring more people into politics and use their skills, expertise and collective knowledge. The challenge is clear – New Brooms, a new Fabian Society pamphlet – outlines this and what we can, and should, do. Democracy, after all, depends on public participation. Like many others, my constituency of Edgbaston is diverse. It includes affluent parts as well as pockets of deprivation. From the student saddled with debt, to the single parent struggling to make ends meet, it is imperative that there is a greater awareness of how parliament can work for everyone. Core Labour values seek to build a democratic society through cooperation and collective decision making. To be truly inclusive we must make a concerted effort to reach out to those who are, for whatever reason, less engaged in the political process. As MPs, coffee mornings, constituency-wide newsletters and roving surgeries are just a handful of ways we can interact with those who typically slip through the net of standard communications. School visits by MPs and to Parliament are great opportunities to inspire, empower, and increase awareness amongst a generation of future voters. This work must be supported by addressing the woefully inadequate levels of political education, especially for pupils at state schools and in schools from disadvantaged areas, at an early age. New technologies present different opportunities to connect with citizens, old and young and can play a positive role in demystifying parliament in clear, concise language, as well as providing transparency, and another way to connect constituents with their MPs. Parliament needs to catch up and take steps to digitise democracy. Parliament must become more family friendly. I fully support the use of proxy voters when female MPs have just given birth. We cannot allow women to be put off going into politics because they feel they may have to choose between representing their constituents and having a family. Honouring and respecting the traditions of parliament, should not constrain us from improving the experience of those who work here. In the Commons, Speaker Bercow, much to the disdain of some, has championed modernisation for example by removing the need for clerks to wear wigs; allowing them to do their vital work with increased comfort. A key part of making parliament accessible is to clearly convey to the public what it is an MP does. One way to help to clarify an MPs role, would be to provide a job description – giving them a clear indication of what is expected of MPs, enabling constituents to hold us to account. Given the nature of the job, it is unsurprising that a formal handover between MPs rarely takes place. However, it should be incumbent on parliament to provide a starter pack containing key constituency and parliamentary information, and a guide on how to set-up and run both your constituency and parliamentary offices, saving precious time and reducing the duplication of work. Preparing for any new job can be a daunting prospect but given just six weeks to prepare and execute my election campaign gave me very little time to ready myself for parliament. Ask any MP and they’ll say the same thing; the first few months leave you feeling around in the dark, waiting for the day where everything becomes clearer. The importance of finding someone who can impart their Westminster wisdom, or even just lend a sympathetic ear, cannot be understated. Mentors are so important, and this is a cause I have championed throughout my time in parliament. A shadowing scheme within the first few months in the job, would be immeasurably beneficial in helping new MPs find their feet. Though the shape this support should take is up for debate, an informal induction is the very least parliament should offer. The more informed and efficient an MP is, the better equipped they will be to act in the interests of their electorate – and that’s good for democracy. This essay is taken from New Brooms, a Fabian Society pamphlet edited by James Frith MP and supported by The Joseph Rowntree Reform Trust.